In this "Making of a ...Fireking Bushfire fighting vehicle" he shows how this custom model is achieved. Ciprian Ursulescu, will share his building skills through its construction photos with little notes from me. Gradually it shows you the making of a unique model of the Fireking. Special thanks to our firefighter friends "Down Under" for their help with providing the necessary technical information and pictures: Martin Winters, Steven Schueler, Lucas Hobbs and Adrian Hazel. Without their effort this project had not succeeded! On Saturday, March 22, 2014 during the 23st Modelshow Europe in the flowerauction "Plantion" nearby the city Ede in the Netherlands the Fireking Bushfire fighting vehicle was presented to the collectors. 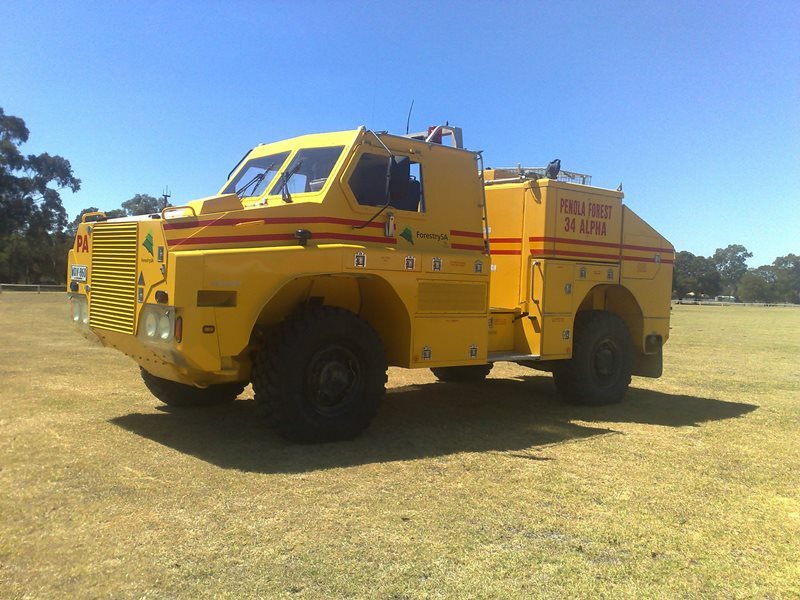 This next knock out model of the Fireking Bushfire fighting vehicle will be available in very limited numbers and will be made only on request.